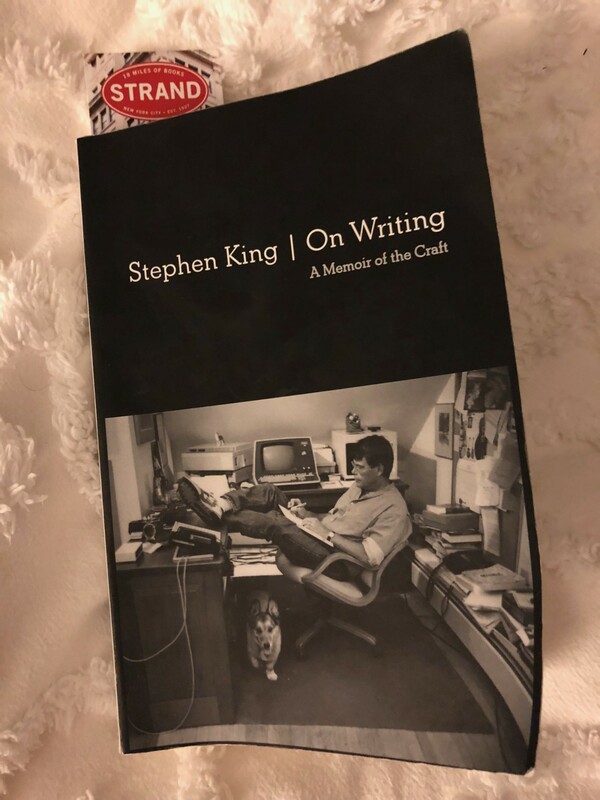 On Writing: A Memoir of the Craft does a masterful job of describing the writing craft, while weaving in King’s personal story. Many may know this fact by now, but Stephen King, the decorated novelist, once wrote a non-fiction book. Although I am fairly late to the game, considering he published On Writing: A Memoir of the Craft in 2000, I am happy to have finally discovered this gem. By way of disclaimer, this is the first Stephen King book I have ever read. I hate to admit it, but horror, sci-fi, and all other things Stephen King have never captured my intrigue as genres of choice. Similar to those who enjoy sherry or port, these genres have staunch devotees, but they have yet to appeal to my epicurean palate. After reading On Writing, however, I may wade further into King’s uncharted waters. Part memoir, instruction manual, and writing guide, this book does a masterful job of describing the writing craft. It weaves in King’s personal story — from his upbringing, early struggles, and addiction to alcohol and drugs, to the undying and tenacious pursuit of perfecting his art. Through pedagogical vignettes, King describes the basics of writing (he used to be an English teacher in Maine, after all). One of my main takeaways — and something I have experienced in my short time trying to write — is that writing is far more than pure creative expression. It is lightyears from the romantic ideal that some may paint in their minds. Rarely does it entail creative sparks and jolts from muses that whisper inspirational words into your ears at random moments. Writing, as King describes it, is more akin to building a house. The act of writing is manual labor, requiring dedication, persistence, perseverance, and grit. One cannot approach it self-consciously. It is unkind to thin-skinned, soft flowers. Writing demands truth and a toolbox. If you are not capable of bleeding onto to a page and charging forward without concern for what others may think or say, it is not the activity or occupation for you. Also, if you want to improve your writing, you must read a lot. Through reading you experience good and bad writing. You learn more words. All elements of a story will start to speak to you more clearly; everything from its structure and plot, to the character development and syntax. Of course, you cannot call yourself a writer unless you actually write. Constantly and consistently. King is big on this point. He demands that you dedicate time every day to writing. King himself writes 2,000 words a day, even on holidays. His readers should aim for 1,000 per day at a minimum. I am ashamed to say I rarely meet that goal — it is difficult to stay consistent. As with any craft, people learn what works for them. For King, he likes to write with the door closed, and then rewrite with the door open. The rewrite belongs to anyone who wants to read it. In those moments, he attacks the blank page — without adverbs (which he despises) and never lightly (oops, adverb). He never tells you anything if he can show you instead and he always speaks the truth that bleeds from his writing vein. Originally published at polispandit.com on October 21, 2018.